Respected Our peers rank us among the best. Judges value our integrity. Aaron Dumas, an Associate in the firm, is committed to producing timely, high quality and cost effective legal work for his clients. Aaron’s practice areas encompass civil litigation, criminal defense, government relations, and transactional law. With a Master’s degree in Public Affairs and experience in the state capitol, Aaron brings a thorough understanding of public communications and policy development to the practice of law. Aaron’s diverse background includes experience in project management in health care IT and as a legislative aide in the Wisconsin State Assembly. 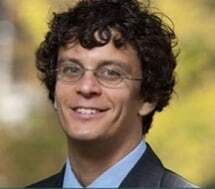 In law school, Aaron held internships with Justice N. Patrick Crooks of the Wisconsin Supreme Court and the Wisconsin Legislative Council, served as law clerk for the University of Wisconsin System, and worked on the Legal Assistance to Institutionalized Persons Project and the Unemployment Appeals Clinic. Aaron is admitted to the Wisconsin Bar.